The Nike Mercurial line has brought us light-weight top class boots for many years now. 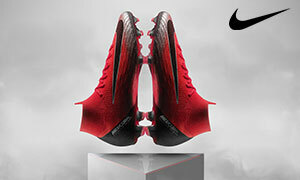 Pushing the limits of modern technology and performance on the field, the Mercurial line has reigned supreme. The first Mercurial was first introduced in 1998, worn by Ronaldo Luis Nazario de Lima, Il Fenomeno, in the ’98 World Cup. 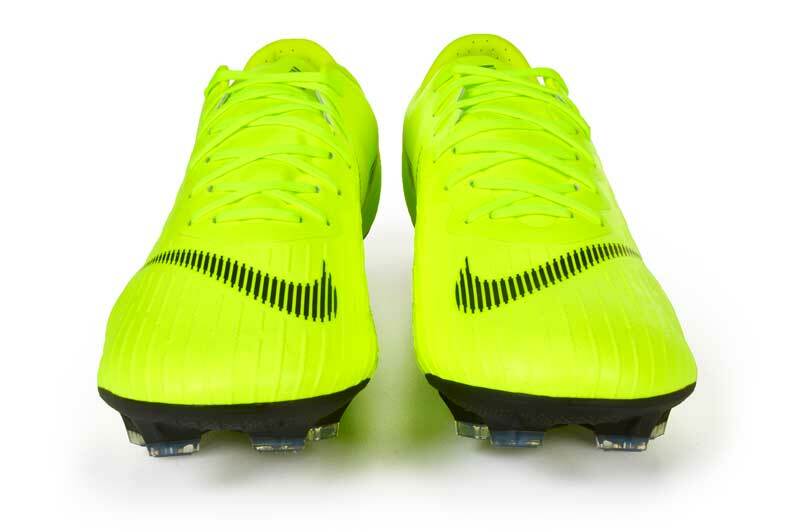 Since then Nike has introduced new boots within the Mercurial line, such as the Superfly. 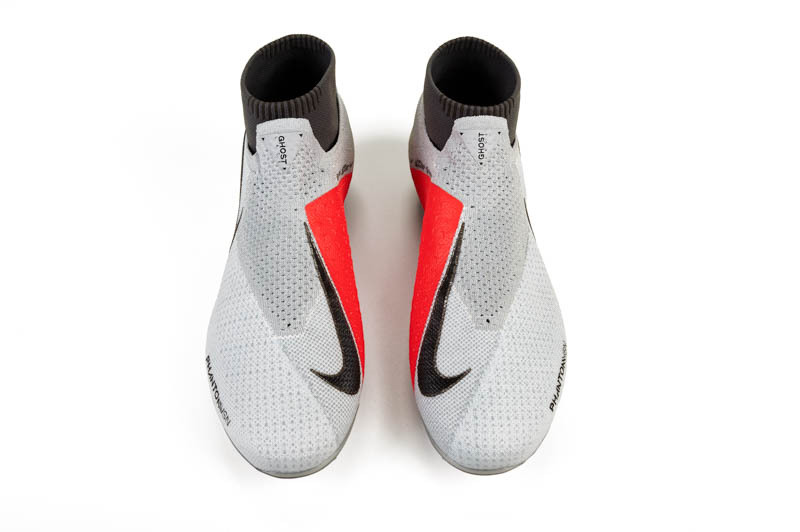 In the beginning, the Superfly was very similar to the Vapor, consisting of the same Teijin synthetic upper and carbon fiber sole plate. Through the years, the Superfly started to take second behind the Vapor. To revive the hype behind the Superfly, Nike introduced Flyknit to the Superfly 4 and a new indoor line. For the past 2-3 years, Nike has given us outdoor and indoor Superflys. This year, 2018, Nike blessed us with the SuperflyX 360 Elite. The Nike SuperflyX 360 Elite brings us an indoor Superfly of top quality. The Flyknit upper is still soft and thin as ever, re-engineered for more structure with no support cage of cables. The lack of Flywire cables through the Flyknit upper also contributes to the thin sensation. The Nikeskin coating along the toe-box and forefoot, a thin layer of plastic covering for protection, has been made thinner. This makes the upper softer and quicker to break in. 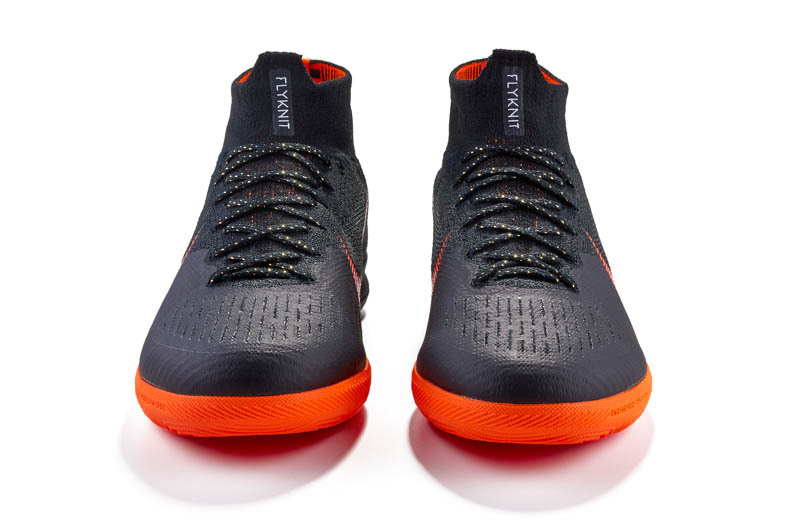 Moving up to the midfoot, the Flyknit is slightly thicker and sturdier than previous indoor Superflys due to the fact there are no extra things to bring that stability. Regardless of the lack of Flywire and Nikeskin through the midfoot and heel, my foot feels secure and locked in always. The new heel construction also feels great. The previous versions had caused many blisters as they curved inward towards the heel, causing more friction and chafing of the heel/achilles area. The new heel construction is shallower, taking away the bite and rubbing of the heel. Although the heel construction is indeed shallow, the lockdown is still great. I did not experience any heel slippage or loose movement. The Nike SuperflyX 360 Elite felt amazing during practices. Previous indoor Mercurials had given me blisters, but the Superfly 360 is too comfortable. Honestly, I cannot get over how soft and good the Flyknit upper feels. The sock-like construction snugly hugs my foot without feeling overly tight and weird. The lowered Dynamic-Fit collar wraps around my ankle making the whole shoes feel part of my foot. 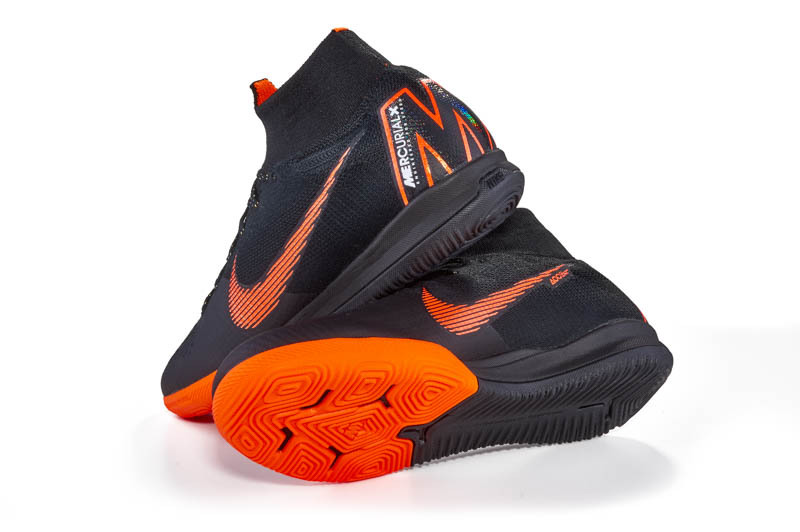 The shoes aren’t the lightest, weighing at 8.20 ounces in a size 7 US, which is to be expected with how much more underfoot cushioning they put by adding a larger midsole. 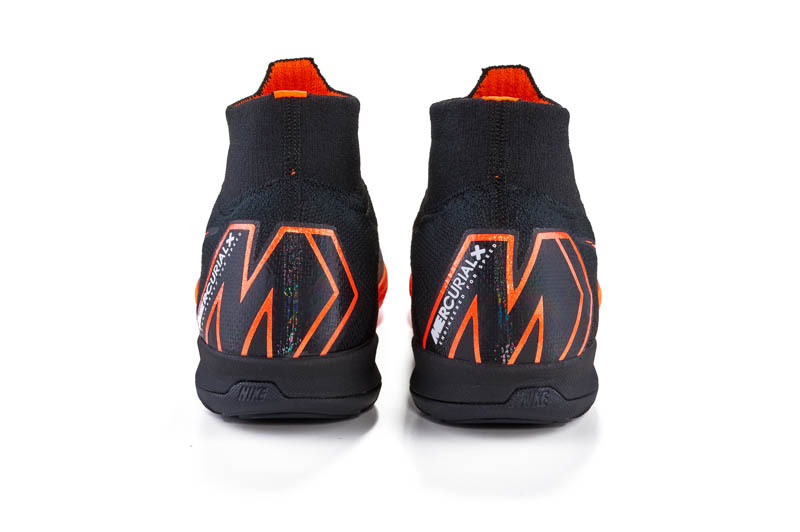 The rubber outsole sole provides great traction. 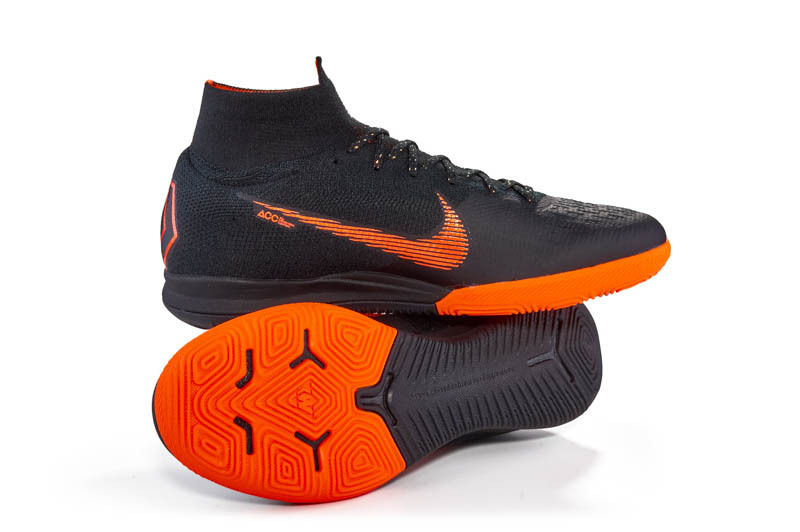 Personally, I believe it is the best and most aggressive sole we’ve had in the current indoor silos from Nike. Certain previous indoor shoes I have worn from Nike have certainly died down in performance, but this shoe has stayed strong. The upper is buttery soft and thin, but still feels padded and protected. The sole has not worn out at all and is still doing its job amazingly. 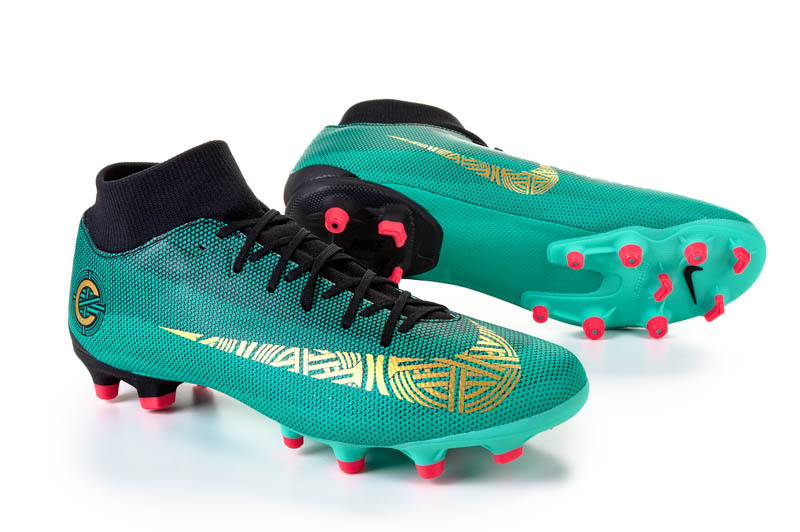 Nike has once again provided us with a great product, the Mercurialx Superfly 360 Elite. These indoor shoes feel amazing and have not disappointed. I didn’t experience any blistering or uncomfortableness in these shoes. I am very pleased with this pair of indoor soccer shoes. Nike stepped up the game in the Mercurial line this year, even if they took away certain iconic pieces like the Flywire; the shoes are amazing. All in all, I am a huge fan of the new Nike SuperflyX 360 Elite. My passion truly is soccer. I play high school and club soccer, and it takes a lot of commitment and time, but it's definitely worth it. I enjoy to watch my favorite team, Barcelona, play their game (thank you Iniesta for these great years). Outside of soccer, I also enjoy doing art for fun and competition. I tend to stay busy, but when I find that sweet free time, I spend it writing for the Instep!